Size: Dia 4cms. & Long 3cms. Item Size: H-2", L-3", W-2.5"
We are remarkable enterprise, involved in offering superior quality Crystal Flower Napkin Rings. 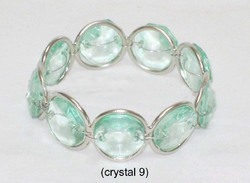 Casa Arte CRYSTAL NAPKIN RING, Size: 3-4"
We offers a wide range of Crystal Crafts which includes Napkin Rings, Dishes, Trays, Candle Holder, etc.. Kindly contact us for your queries. We are the leading Manufacture supplier exporter of crystal Nepkin Ring and offer this product as per client requirments and product avaibale various colour and quality and i want only Foreign quaery like UK , USA , Australia . 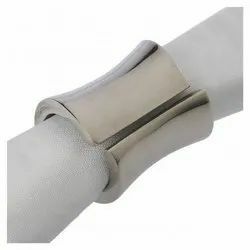 We are manufacturer and exporter of high quality and exclusive napkin rings, metal napkin ring, crystal napkin ring, brass napkin ring, designer napkin ring, etc. Ant ring set in 18k yellow gold with crystal and diamond. Metal & Crystal Napkin Ring, Nickel Plated, We Offer an Innovative Range Of Napkin Rings To Give An Royal Look To Your Dining Table.